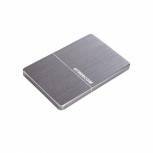 Freecom Tough Drive 1TB USB External Hard Disk Drive Black 56057 Pack of 1 USB 3.0 for super fast data transfer-also connects to USB 2.0 Data Transfer Speed: max. 5000 Mbit/s (USB 3. 0). 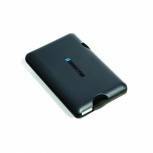 Soft silicone cover, ideal for mobile computing. Software included: Nero BackitUp & Burn, Green button energy saver and Password Protection. 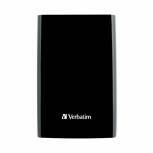 Verbatim Store n Go USB 3.0 Portable 1TB Black Hard Disk Drive 53023 Pack of 1 Verbatim Store n Go Portable Hard Disk Drive 1Tb Black. USB 3.0 Super Speed data transfer. Transfer documents and data easily between home and office. USB plug 'n' play (no additional power required). 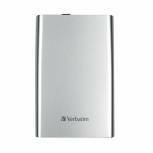 Verbatim Store n Go USB 3.0 Portable 1TB Silver Hard Drive 53071 Pack of 1 Verbatim Store n Go Portable hard drive. 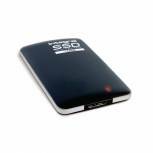 USB 3.0 high speed data transfer. Safely back up and store all your files from PC or laptop. Capacity: 1TB. Colour: Silver. 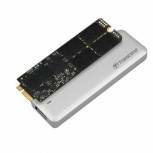 Intenso Black Memory Station USB 3.0 Portable Hard Drive 500GB 6021530 Pack of 1 Portable hard drive with 500GB storage. USB 3.0 connection for transfers up to 10x faster than USB 2.0. Back compatible. LED illuminates when in use. Colour: Black. Intenso Black Memory Station USB 3.0 Portable Hard Drive 1TB 6021560 Pack of 1 Portable hard drive with 1TB storage. USB 3.0 connection for transfers up to 10x faster than USB 2.0. Back compatible. LED illuminates when in use. Colour: Black. 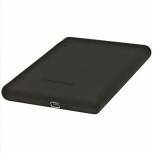 Intenso Black Memory Station USB 3.0 Portable Hard Drive 2TB 6021580 Pack of 1 Portable hard drive with 2TB storage. USB 3.0 connection for transfers up to 10x faster than USB 2.0. Back compatible. LED illuminates when in use. Colour: Black. 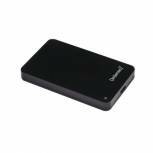 Freecom Tough Drive 2TB USB External Hard Disk Drive Black 56331 Pack of 1 Robust hard drive with tough rubber casing and strong hardware encryption. Anti-shock mechanism. Dust- and water-proof. Integrated USB 3.0 cable (back compatible with USB 2.0). Includes backup and password protection software. 2TB capacity. 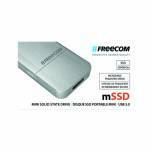 Freecom Mobile XXS Drive 2TB USB External Hard Disk Drive Black 56334 Pack of 1 Freecom Mobile XXS Drive 2TB USB External Hard Disk Drive Black 56334. Protective rubber case. The world's smallest 2.5in external hard drive. 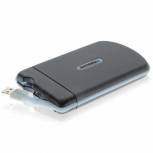 Includes compact USB cable. Bus powered - no need for an AC adapter. No cooling fan, ensures quiet operation. 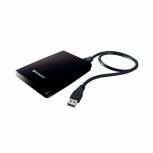 Verbatim Store n Go USB 3.0 Portable 2TB Black Hard Drive 53177 Pack of 1 Fast USB 3.0 portable hard drive. 10x faster than USB 2.0 and back compatible. Plug-and-play installation with single USB cable - no external power source required. Includes backup and energy saving software. 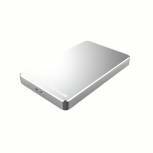 2TB capacity. Colour: Black. 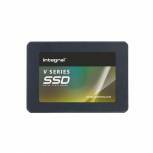 Integral 120GB Solid State Drive V2 Series SATA 2.5 Inch 6Gbps INSSD120GS625V2 Pack of 1 Designed to boost the performance and extend the useful life of your existing hardware, this 120GB solid state drive will speed up your operating system boot times and increase the speed of your applications.